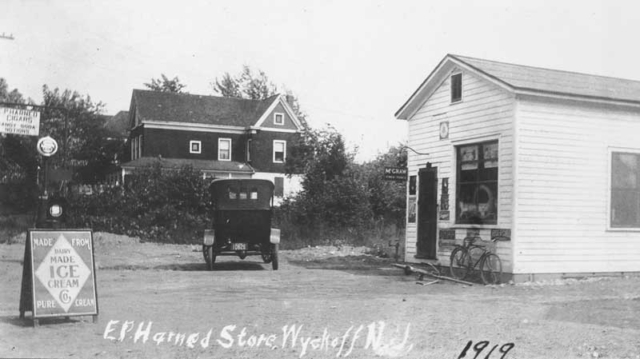 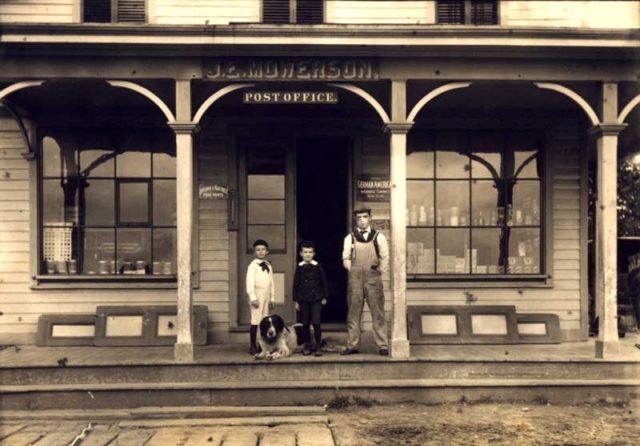 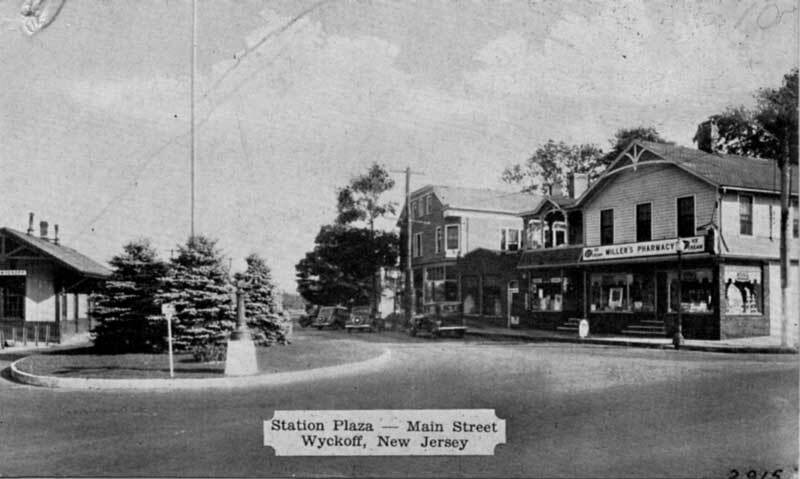 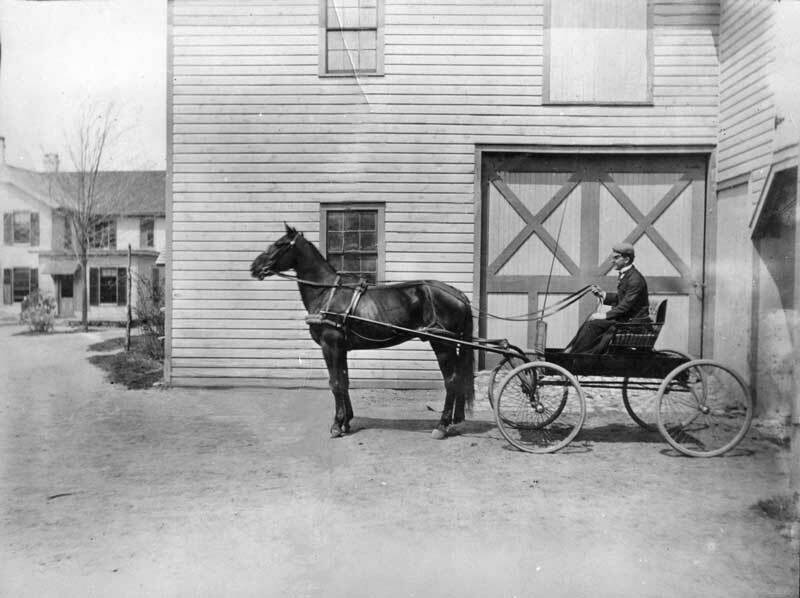 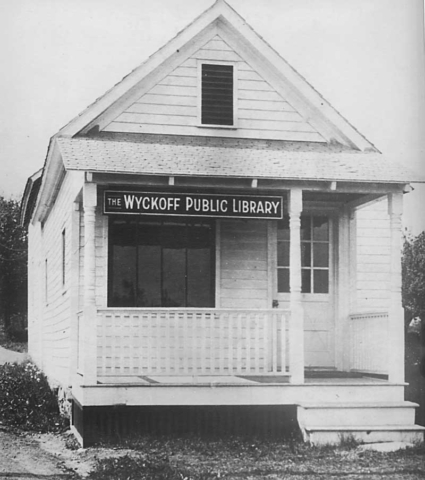 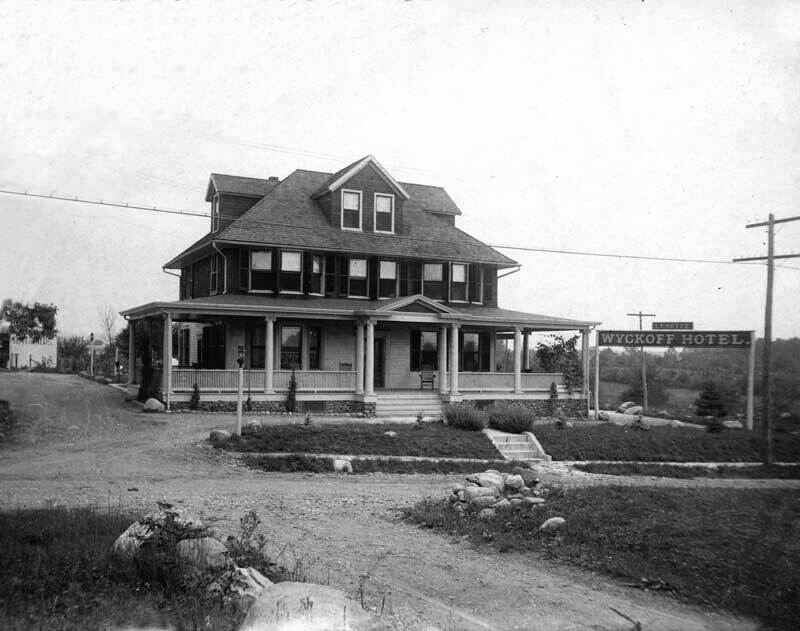 The downtown of Wyckoff evolved slowly from its early beginnings. 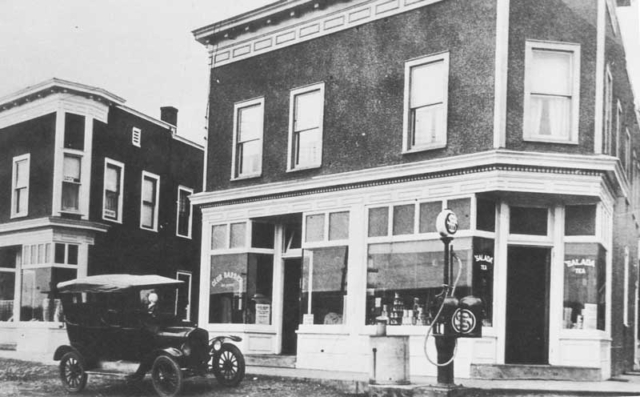 Probably the first commercial establishment was the Board and Stout, at the corner of Main Street, in 1860. With the arrival of the railroad in 1870, commerce increased along Railroad Avenue, as it was known. 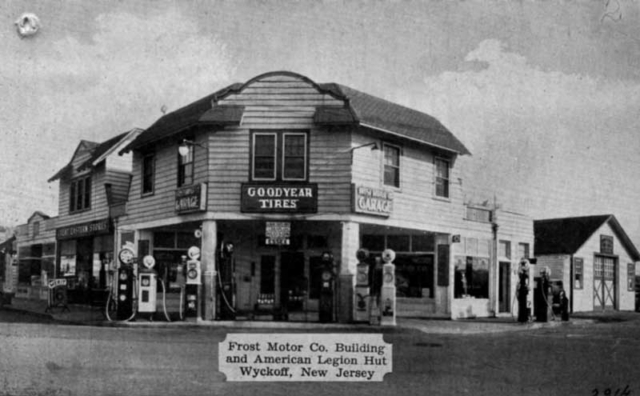 The Lawlins building was added, followed by the First National bank of Wyckoff and the Post Office. 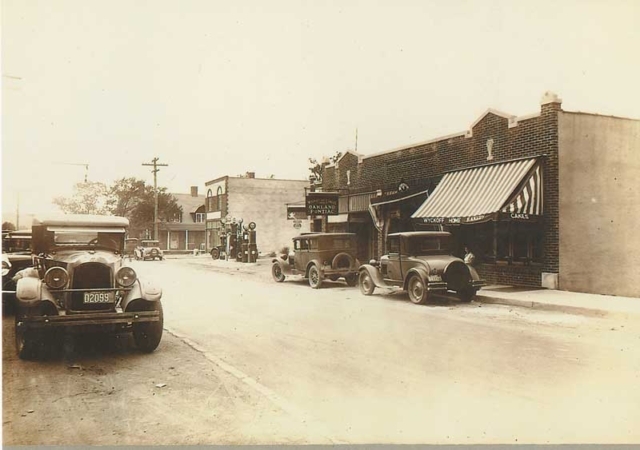 The other area of development was near the Brownstone along Franklin Avenue. 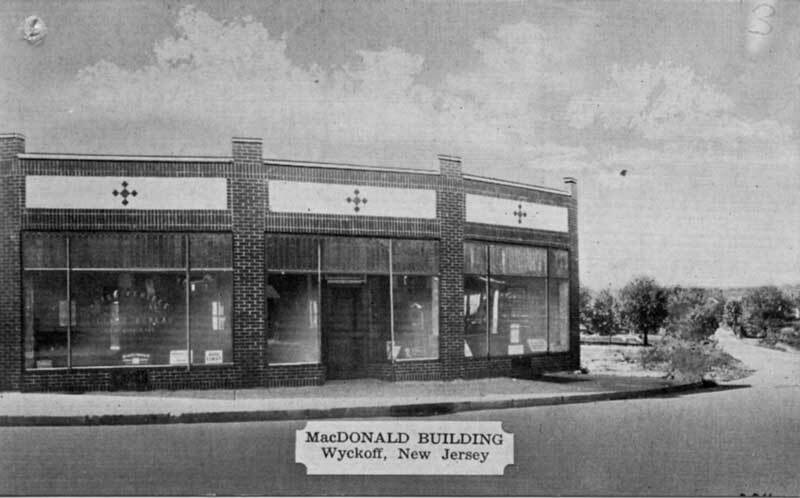 Across the street from the Brownstone was the Edwards brick building, the Frost building, and the MacDonald building. 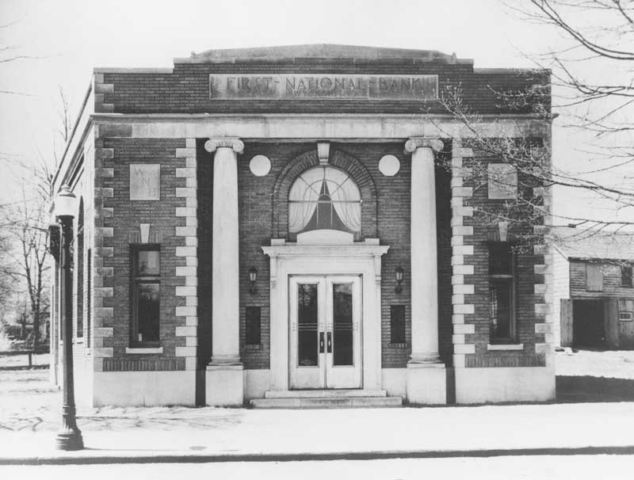 The Sterling Buildng was farther along Franklin Avenue and housed various establishments, including the police station and library. The building was destroyed by fire in 1998. 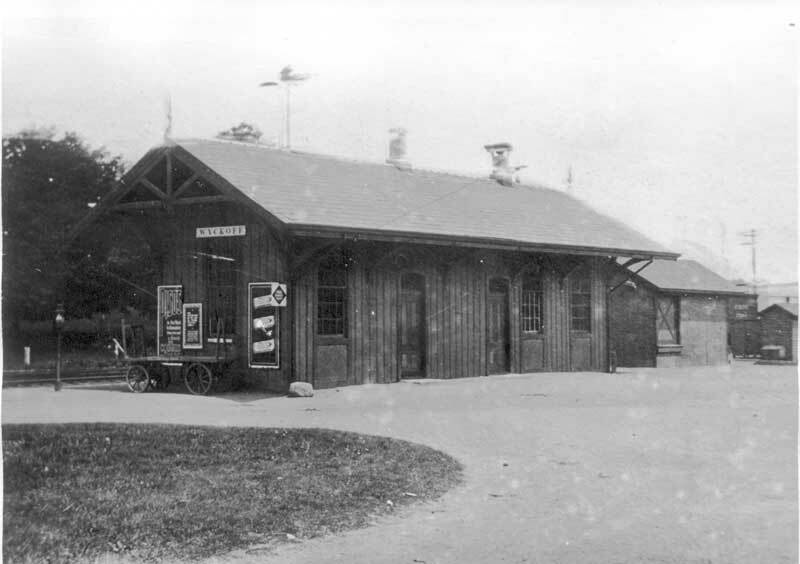 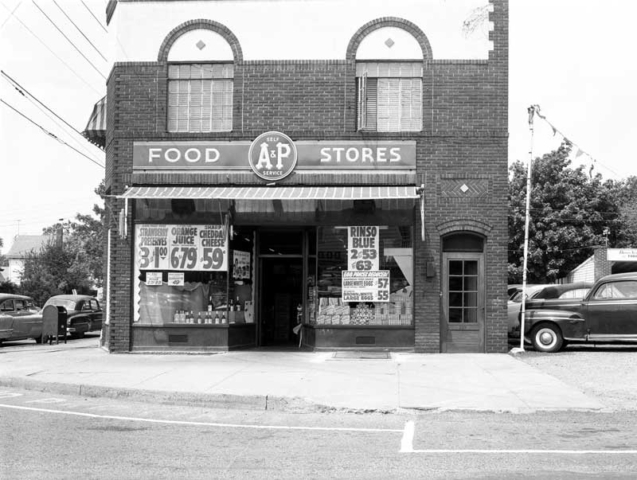 Cornelius Vreeland attempted to develop the triangle area into homes when the railroad came to town, but it became the triangle business district. Today, there are a few private residences left in this area, although some of the business occupy the houses instead of tearing them down.